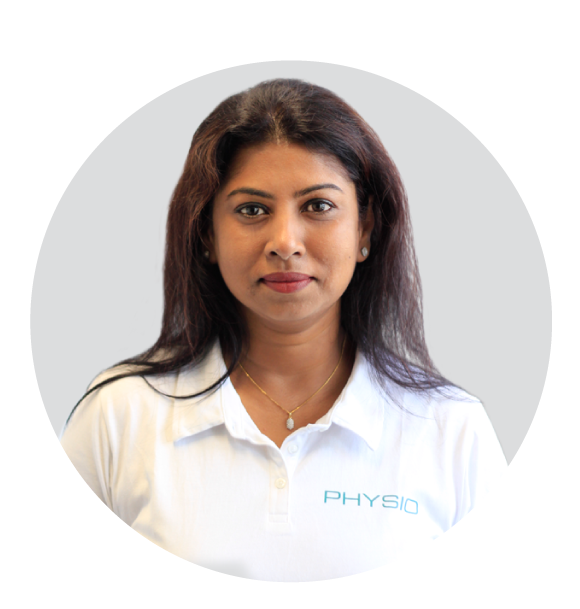 At PhysioReform, we are passionate about providing premium physiotherapy services and care to our clients. Our Auckland physiotherapists are all highly skilled practitioners, qualified to offer you relief, recovery and rehabilitation. Whether you’re recovering from surgery, have a sport or work related injury, or suffer from muscle, joint, bone, disc or nerve problems, our caring and experienced physiotherapists can help you. Read on to find out more about our skilled and experienced physiotherapy team across Auckland in East Tamaki, Glen Innes and Takanini. Rowan is one of the co-founders of PhysioReform and a qualified and skilled physiotherapist. He completed his studies in 2012 and since then he has been refining his skills in Musculoskeletal Physiotherapy. He has worked in a private setting and has also completed additional training in Rock/Kinesio Taping. Rowan has a keen interest in sports related injuries and is particularly focused on applying physiotherapy to sports environments. He has played cricket and football at a competitive level and understands the effect different injuries can have on a sports career. Rowan is also very interested in working with clients in post-operative rehabilitation, finding the process of helping people to recover from surgery to be very rewarding. Also a co-founder of PhysioReform, Lloyd is a skilled physiotherapist with a keen interest in treating a wide range of sports injuries, chronic injuries and occupational injuries. Having completed his BHSC Physiotherapy degree in 2012, Lloyd has been fine tuning his skills and knowledge since. As a former competitive hockey player and sportsman himself, he is passionate about helping clients to recover from sports injuries. He has gained valuable experience as a sideline physiotherapist for a number of sports teams. Lloyd particularly enjoys rehabilitating patients past their previous level of function using a variety of physiotherapy interventions. Born in Staffordshire, England, Tom moved to New Zealand in 2017 to develop his career in Physiotherapy. He graduated from the University of Nottingham before working in the NHS and private practice in the UK. Tom also has experience working in Rugby League, a sport which he has a passion for! Tom takes into account all areas of the body system when treating a person's injury. The heart of his approach uses exercise, carefully selected to optimise function and boost recovery. Tom is Functional Movement Systems certified, and often uses this in conjunction with Dry Needling to target weaknesses and reduce persistant pain. Jay Hwang is a passionate acupuncturist and herbalist who has been practicing for about 10 years. Jay has a Bachelor of Health Science degree in Traditional Chinese Medicine (Acupuncture and Chinese herbal medicine) from the New College of Chinese Medicine. Jay is registered with the NZ Acupuncture Standards Authority and is an ACC registered treatment provider. He has additional training with "Dr. Zhu's Sclap acupuncture" and "Dr. Tan's balance method acupuncture"
He is passionate about treating musculoskeletal related problems and rehabilitation after stroke. His treatment approach is holistic, by symptoms as well as the underlying conditions of disease based on the Oriental approach to health. Paul graduated from AUT with a Bachelor in Health Science Physiotherapy. He has worked at Middlemore Hospital in outpatient musculoskeletal and the Neuro / Stroke wards. His areas of interest include Neuro, Sports and Musculoskeletal Physiotherapy along with Exercise Prescription. Paul speaks fluent tongan enjoys numerous sports, and keeping fit in his free time. Paul Kim moved from South Korea to New Zealand in 1995. Paul has a Bachelor of Health Science degree in Traditional Chinese Medicine from the New College of Chinese Medicine. Paul is registered with the NZ Acupuncture Standards Authority and is an ACC registered treatment provider. Paul is an acupuncturist and a herbal medicine practitioner. His passion for traditional Chinese medicine has taken him to China on multiple occasions to complete advanced anatomy and physiology courses. Paul has recently completed a personal training course at Auckland University of Technology to broaden his skill set. Pain, illness and discomfort are often signs that your body is out of balance. Paul is passionate about tackling the underlying cause of the problem and restoring and maintaining optimum balance to prevent reoccurrence. New Zealand born and raised but has just moved back after a couple of years living abroad and traveling through Europe. Passionate about adventure, anything creative, sport, and trying new things, which is how she landed a job in London working as Practice Manger for a leading Physiotherapy company. When moving back to NZshe thought she would continue with this which is how took the opportunity to work with PhysioReform. Part of the mother-daughter team that practice at our Glen Innes clinic, Sue is an experienced acupuncturist with unique skills. Having grown up in China and learning traditional Chinese Medicine from her Grandparents, Sue went on to gain a Bachelor in Health Science majoring in Acupuncture and Herbal Medicine. In addition to her Bacherlors Degree, she showed a particular interest in hearing loss and tinnitus as part of a Post Graduate Diploma program. She is a registered member of NZASA. The other half of the mother-daughter duo, Angel also holds a Bachelor Degree in Health Science majoring in Acupuncture and Herbal Medicine. Angel is a registered member with Acupuncture NZ and enjoys treating a variety of musculoskeletal injuries to get people through their rehabilitation as quickly as possible. She is a friendly and professional member of the team, always willing to help. Meera initially earned her Bachelor’s Degree in Physiotherapy from India in 2002. In 2010 she immigrated to New Zealand with her family and later went on to complete a Graduate Diploma in Health Sciences (Physiotherapy) from AUT. She prides herself on taking a holistic approach to patient care and focuses on establishing patient individual goals to guide treatment. She has a deep passion for this profession and claims that “The key to successful rehabilitation starts with building up relationships with patients, respecting their beliefs and values and by working towards agreed goals to make a small but significant difference in their life”. Outside work Meera has a busy family life with her husband and two lovely boys’. She loves spending time with her family and is also passionate about travelling and cooking. Professional, Qualified Physiotherapists in Auckland.